With more and more people chasing the green drive across the world, green technology is witnessing many advancements. Furthermore, sustainable measures have become an integral part of modern construction. There are several benefits of green buildings. Not only are they eco-friendly, but they also bring about considerable cost savings. Moreover, considering the current architectural trends in mind, we can say that investing in sustainability is a profitable choice. While building sustainable buildings, architects focus on how the buildings can fight any future crisis. Here are 12 examples of green building designs that focus on sustainability. Green architecture is the future architecture to tackle the power shortage and to preserve our environment from pollution. Many government and private organizations are coming up with new innovative ideas to boost the green architecture. These buildings will feed on renewable sources for energy and will cut down the carbon emission in huge amount. Since the demand for power is on the rise, choosing a green architecture is best idea. Let us see the 7 most striking examples of green buildings around the world. This 240 m tall building had won the LEAF award winner for Best Use of Technology. It is a best striking example for green building. Really it is a great idea to fix wind turbines to generate electricity. Without any doubt, we can tell this building as one of the best eco friendly building in the world. 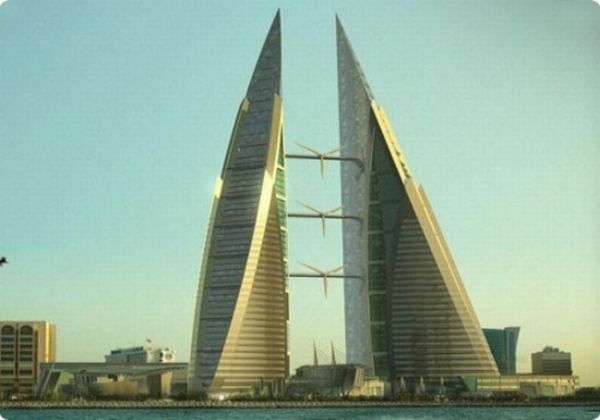 Totally 3 wind turbines are placed in the twin tower building by making a bridge between two towers. Total capacity is 680 KW and annually it generates 1.2 GWh power, which is about 13 percent of twin towers overall consumption. Since turbines are fixed facing Persian gulf, the wind flow is more. It has received lot of awards for sustainability and innovation. This is the best example for green bridge. 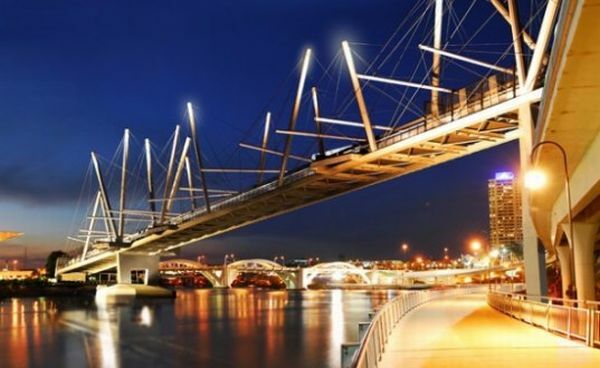 Kurilpa Bridge at Brisbane first became available for transportation in 2009. It is the largest bridge in the world that operates on solar power. As solar panels are used pollution is reduced and to reduce it further they are opting for LED lights, which consumes very less power but gives more brightness. With 85 solar panels it satisfies about 85 percent of the energy needs of the bridge and eliminates 39 tonnes of carbon emission annually. Each panel have a capacity of 39 MWh every year. Every nation should follow this idea to reduce pollution. 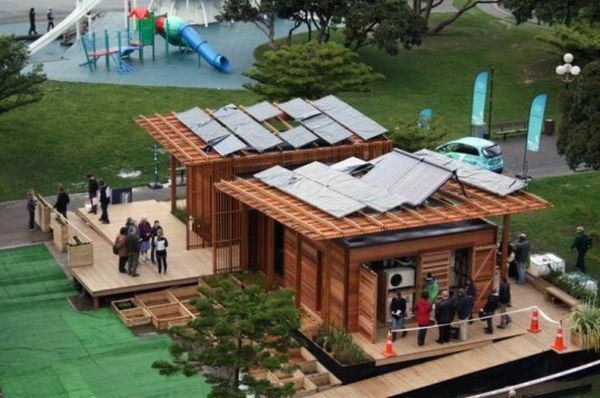 Entry from Victoria University of Wellington in 2011 decathlon in USA is one of the best idea for green home. Not only big buildings will save carbon emission, but also small homes. These homes also reduce our expenses. Kiwis named it as First light as New zealand gets the sun rays first and it won the third place in the contest. Green features of this home are built using woods, recyclable and recycled materials, energy monitoring system, wool for insulation and it comes with more comfort and space. It is a ideal home for a family of four. If you want to enjoy the seclude nature of desert, then make a visit to White Mountain at a desert in Egypt. Best part of the trip would be the stay at Adrere Amellal at the foot of the White Mountain. This green resort with 39 rooms offer you a stone age life style. To preserve the desert and to reduce the carbon emission, they are using alternative energy sources to keep the electricity at bay. Definitely it is the most sustainable resort in the world, which depends on bio gas for cooking, natural spring for water, Beeswax candles for light and biodegradable food materials. This resort is made from clay and stones and it has a recycling unit. Waste food materials are composted. Really, it is a gem of the desert. 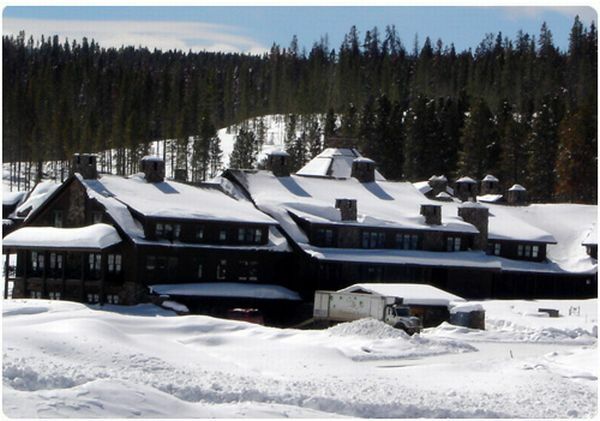 Devil’s Thumb Ranch located in Colorado, which covers 500 acres is famous for extreme sports and exotic wildlife. The 8 acre resort located in this place had received Environmental Protection Agency Award for responsible development and historic preservation. This is the most important resort, as it’s the only place for people to relax and enjoy. To preserve the essence of the environment, this resort is built in an ecofriendly way. It is built using recycled wastes and also it has a recycling unit to recycle the wastes. It uses geothermal energy for generating electricity. 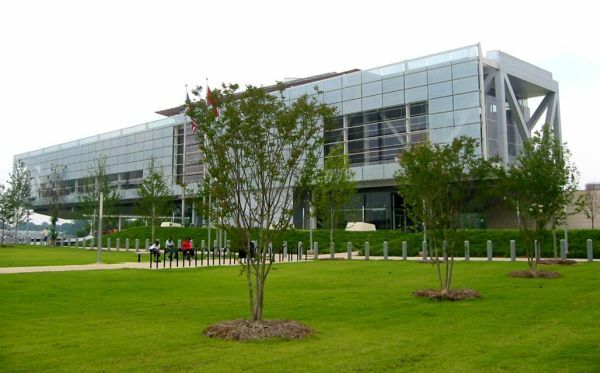 Polsek came up with the Clinton Presidential Library and Museum at Little Rock, Arkansas. It is a best green building which reduces emission. 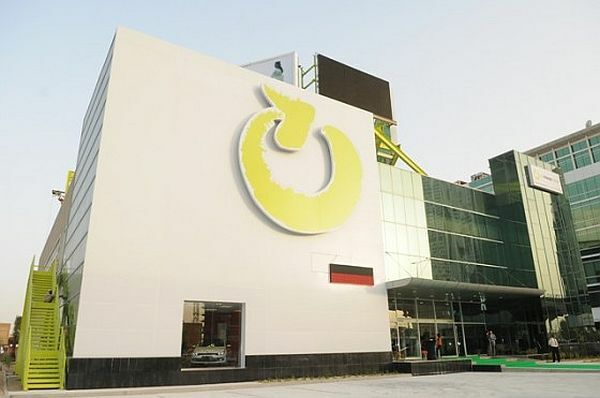 It has received LEED Platinum award from US rating firm for its green features. Floor of the building uses recycled tires, rooftop garden to absorb carbon emission, regulate temperatures and to reduce rainwater runoff. Moreover, it also utilizes green cleaning, reducing waste through local sourcing and carbon offsetting. Solar panel is also there for tapping the energy and also it has charging stations for electric cars. 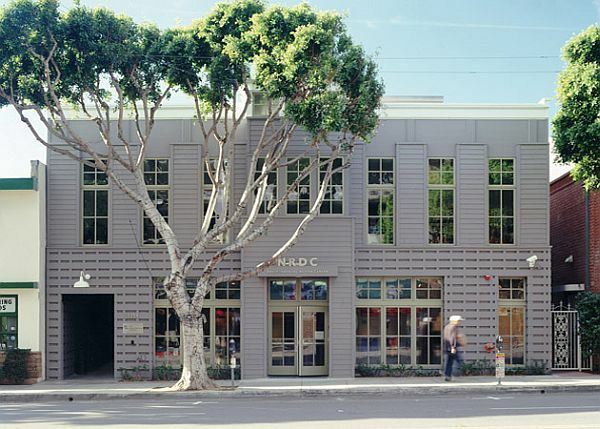 This LEED Platinum rated building is nestled in a walkable, urban, mixed-use neighborhood next to transit. Designed by Moule & Polyzoides firm is one of the greenest building in the world. It uses less than half of the water used by other buildings of its size, as it contains rainwater and waste-water management system and 20 percent of the buildings energy need is satisfied by solar panels. 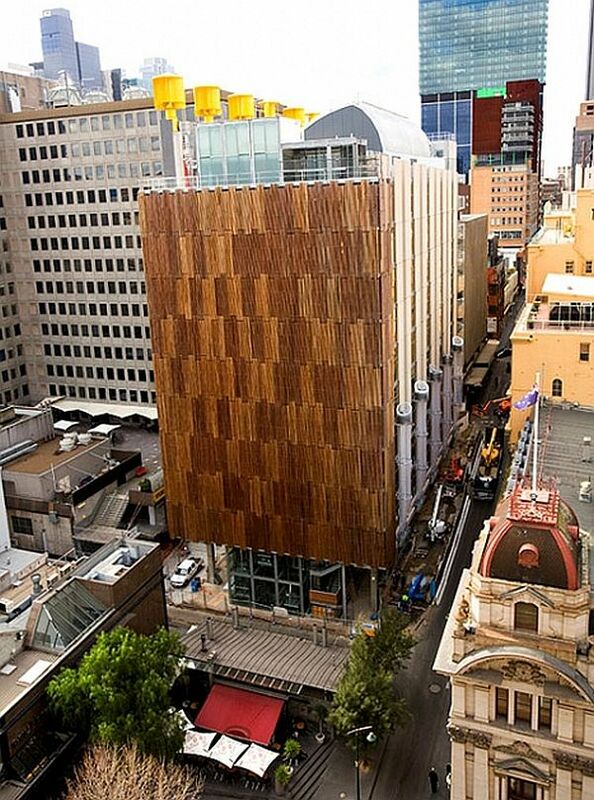 Built from renewable and recyclable materials and outer surface it is built using fiber. 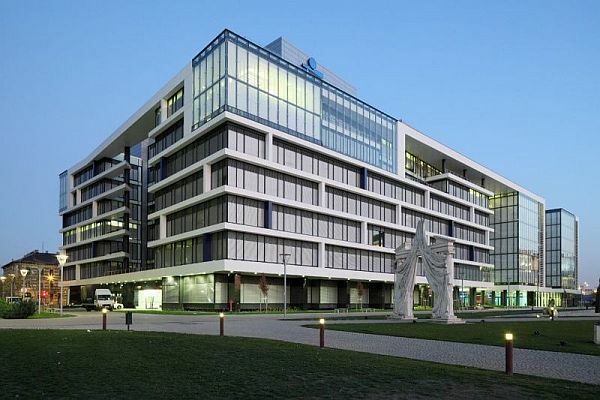 Situated in Hungry, the K&H Bank headquarter is the first building in whole country to get LEED-NC rating. The building has been designed in such a way that it makes use of as much as 22% less energy in comparison to other building. This building also stores rainwater for roof garden as well as the landscape around the building. The Change Initiative (TCI) building is located in Dubai and is one of the most noteworthy buildings worldwide. The building has recycled materials and water as its prime construction materials. Along with it, the building features solar panels to meet most of its energy requirements. Triple insulation and use of reflective paint have also helped in saving energy required for keep the building cool. Housing the headquarter of the National Resources Defense Council, this building has implemented sustainable measures for reducing water usage by as much as 60% in comparison to other buildings that are similar to it in size. To accomplish this feat, the building makes use of shower and rainwater in landscape irrigation, as well as in toilet flushes. It is also fitted with solar panels that help to generate about 20% of energy requirement of the building. 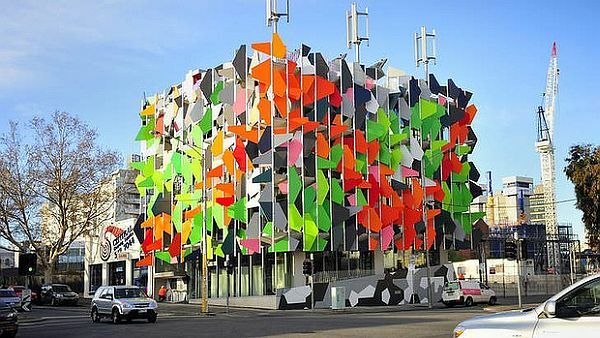 Located in Australia, it makes use of several eco-friendly measures to help save the environment. It has achieved Green Star rating and has implemented innovative measure, such as sunshade system that lets natural light into the building while keep the glare and heat out. Pixel also generates electricity through wind turbines to meet most of its energy requirements. This building has been able to achieve Six Green Star rating and has the capability of generating about thirty percent of required electricity with the help of micro-turbine installed on its roof. In addition to it, the heat generated by the micro-turbines is used for air-conditioning purpose and water heating.